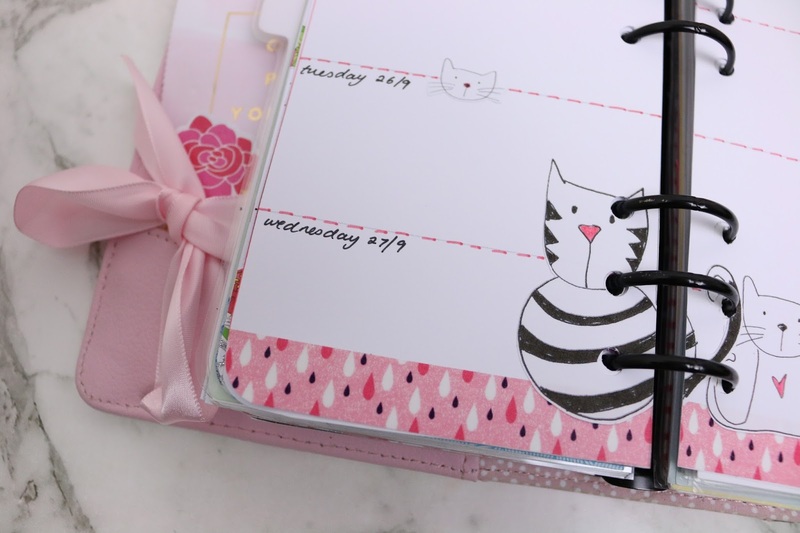 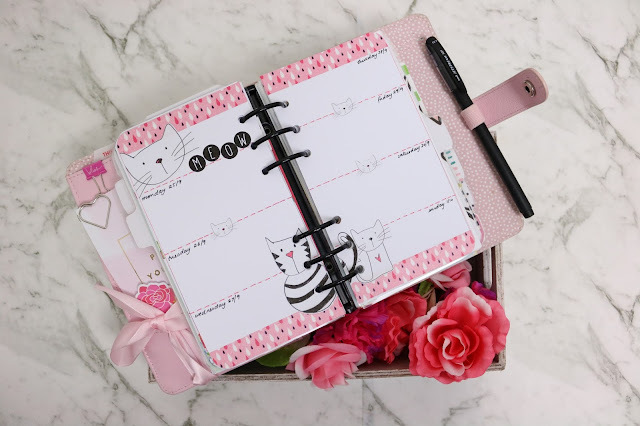 I'm back with some more planner inspiration for you this month, this time featuring the awesome black and white cats from Anna's Cats in Bloom collection. 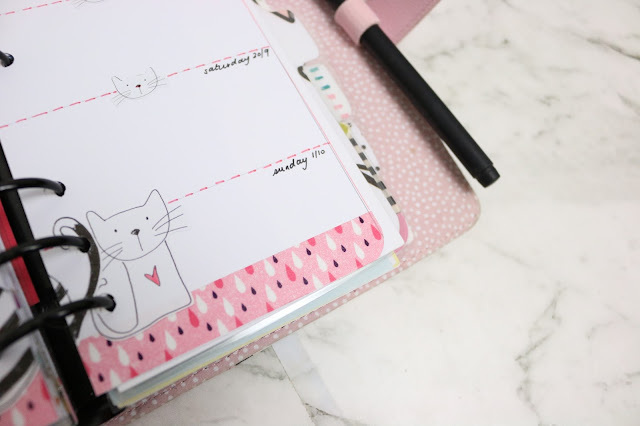 I knew as soon as I saw the cats that I wanted to use them in a layout on their own, with a pink theme, because I'm a sucker for all things pink and white and black. Along with the stickers, I pulled some washi tape from my (admittedly, very old now) stash of tapes and used my Micador Stylist Brush Markers to create this cat-tastic layout. 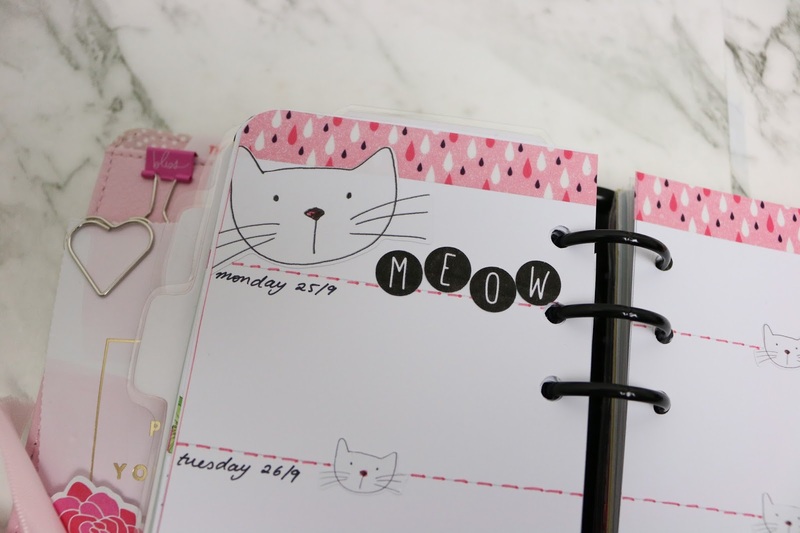 I hope that you're having an amazing week, wherever you are in the world, and that your planning is going well! 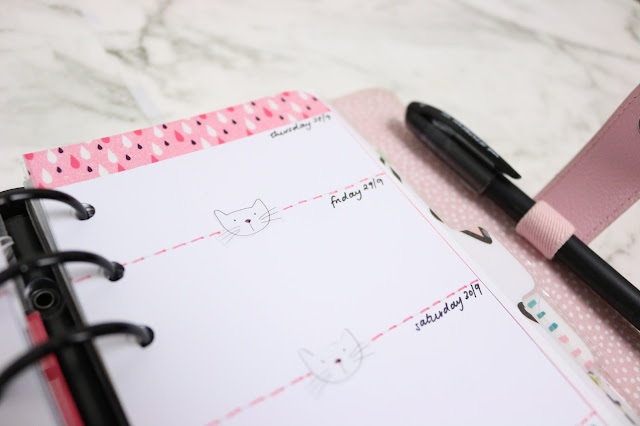 I'm always happy to talk planners and decorating with everyone - you can catch me on youtube and instagram!